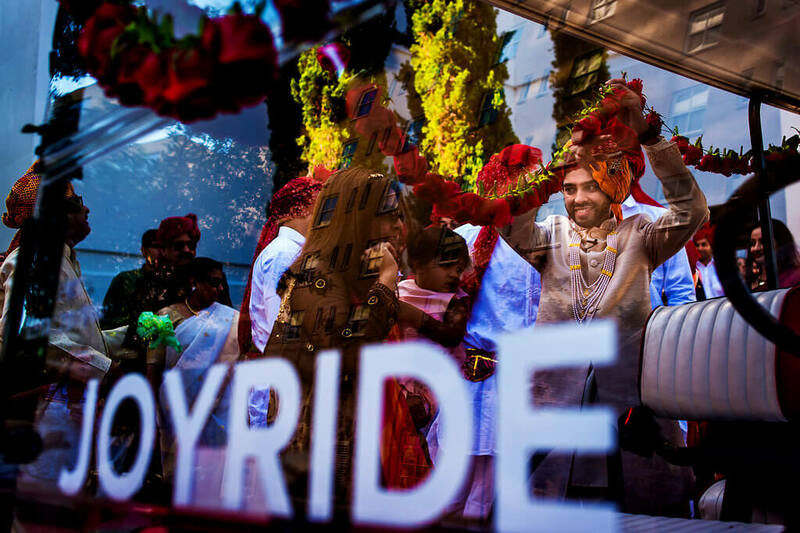 The vibrant and colourful East blends rather harmonically with the chic and minimalistic West, at the wedding of Kavya & Pranay. 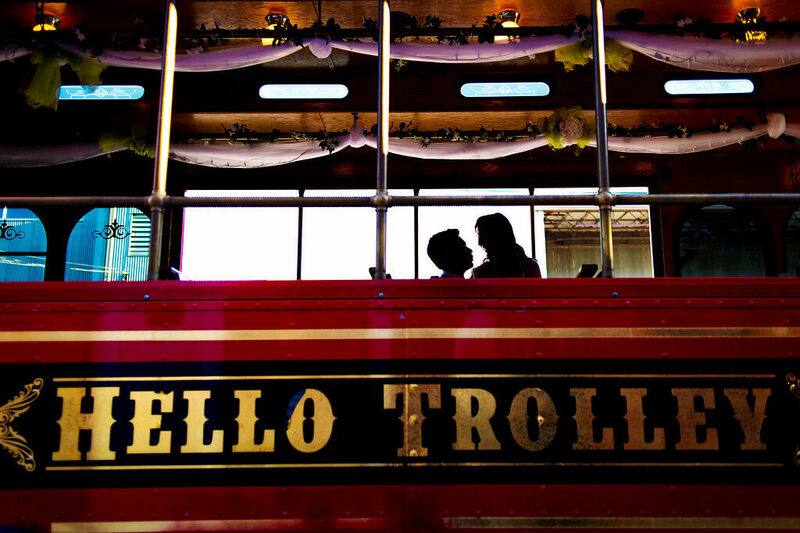 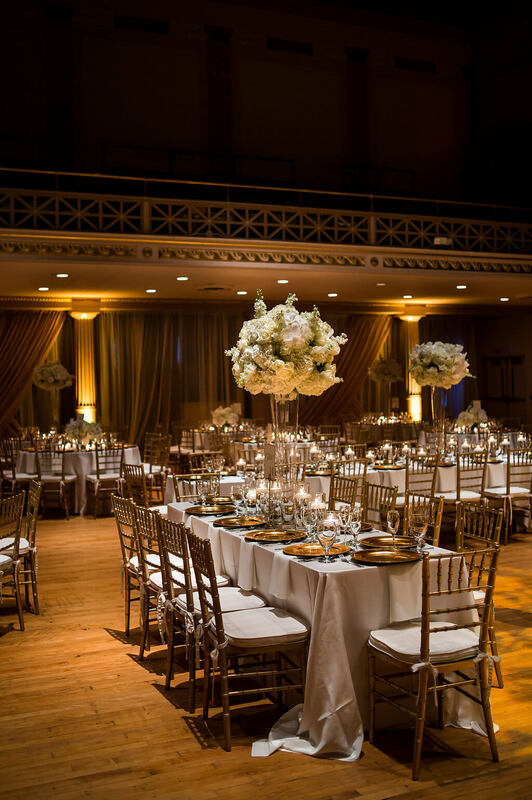 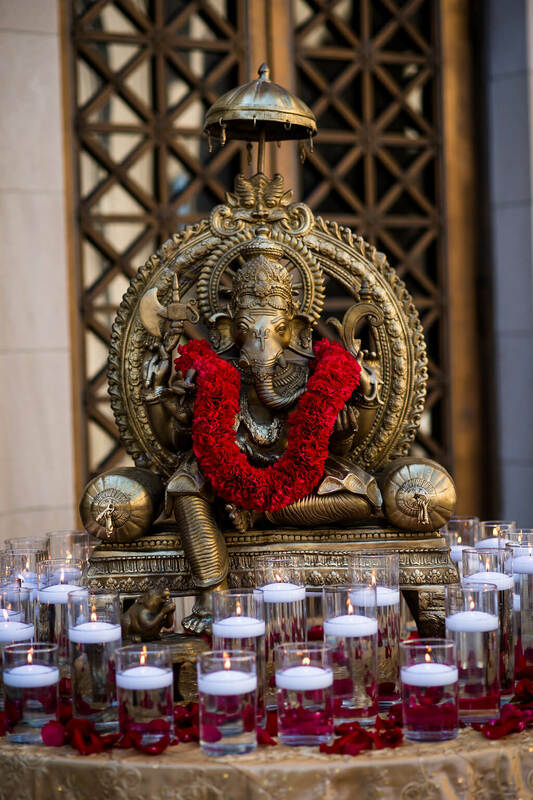 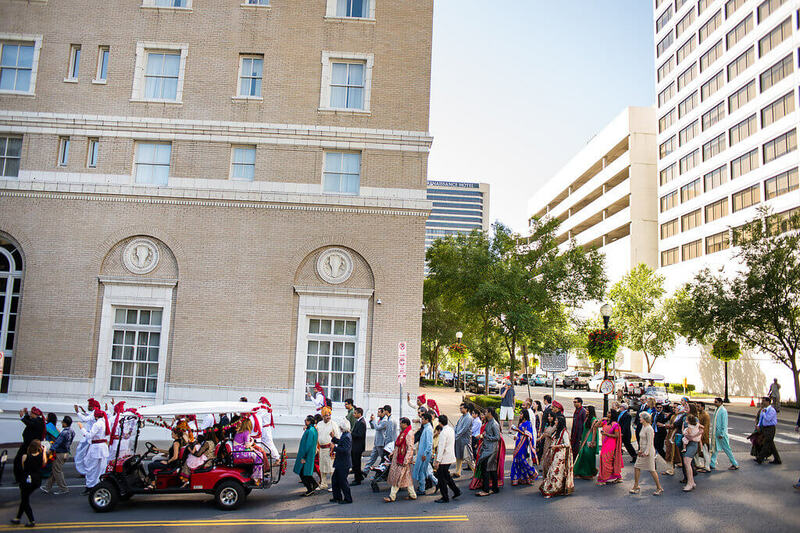 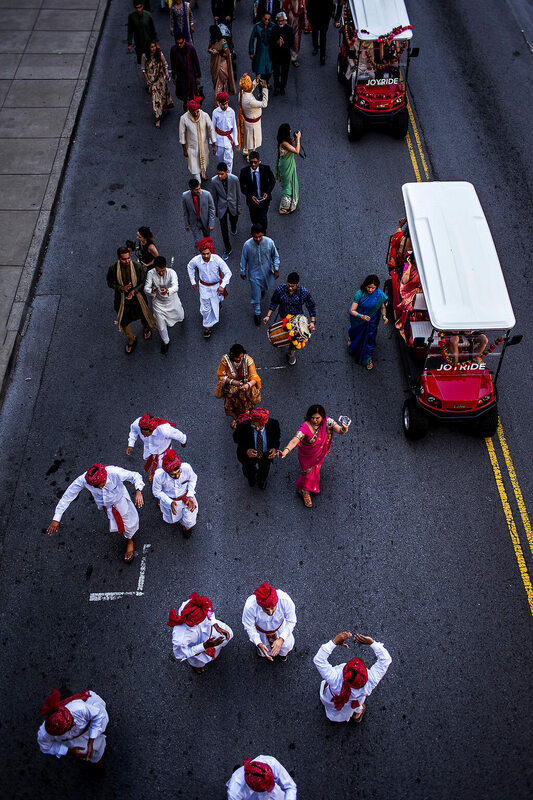 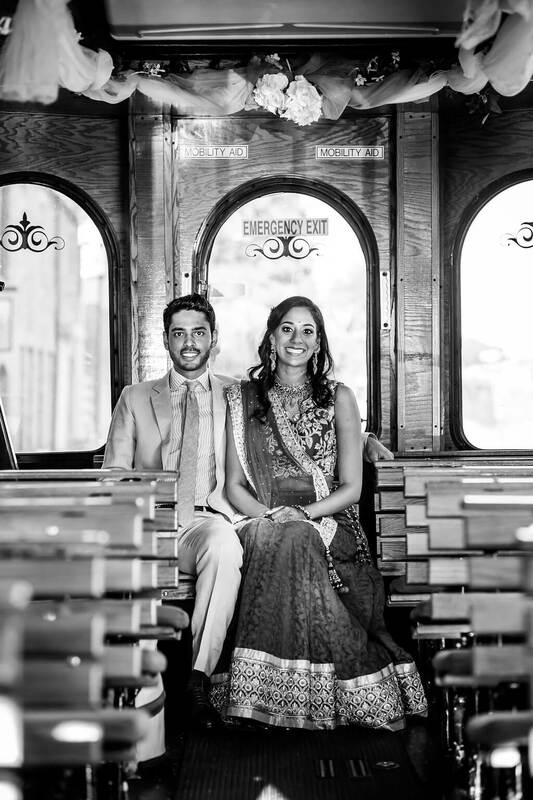 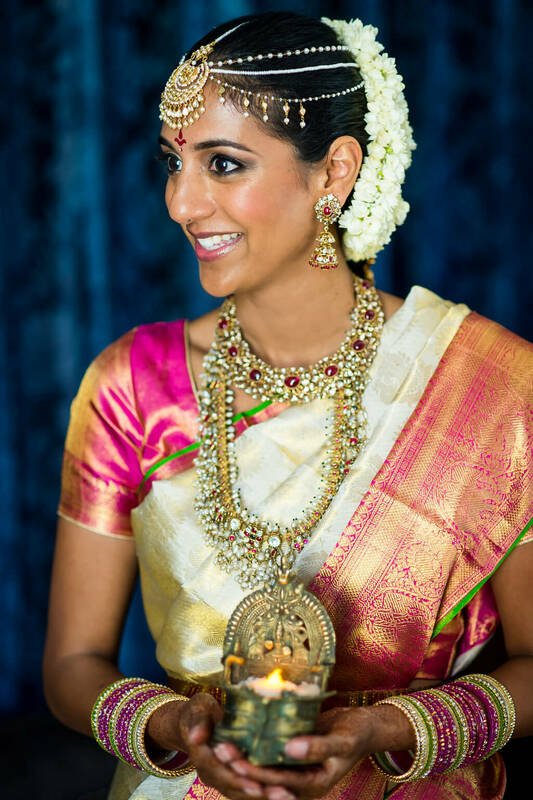 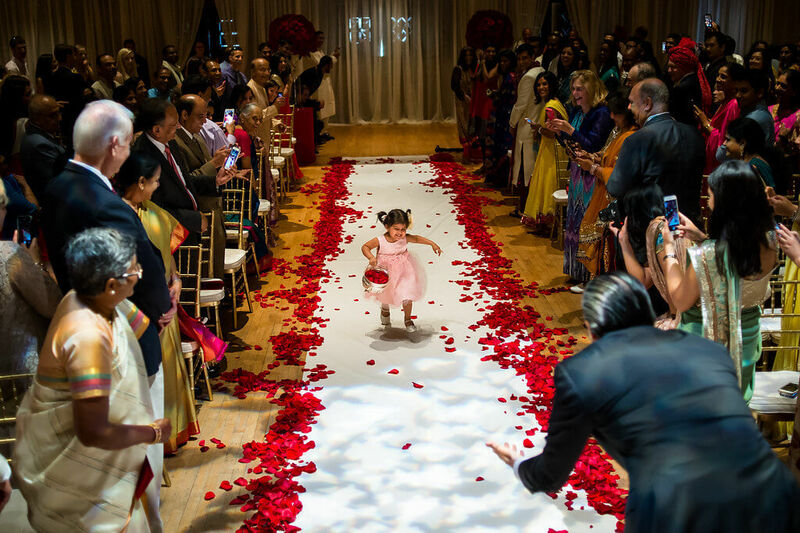 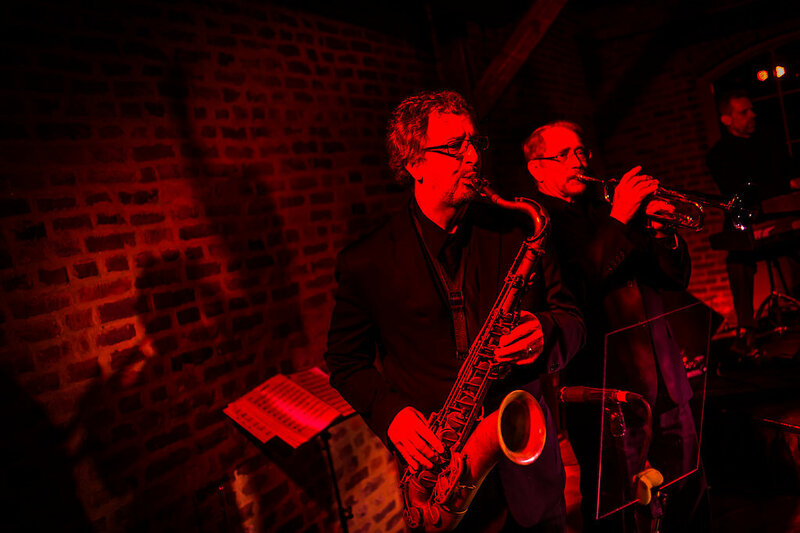 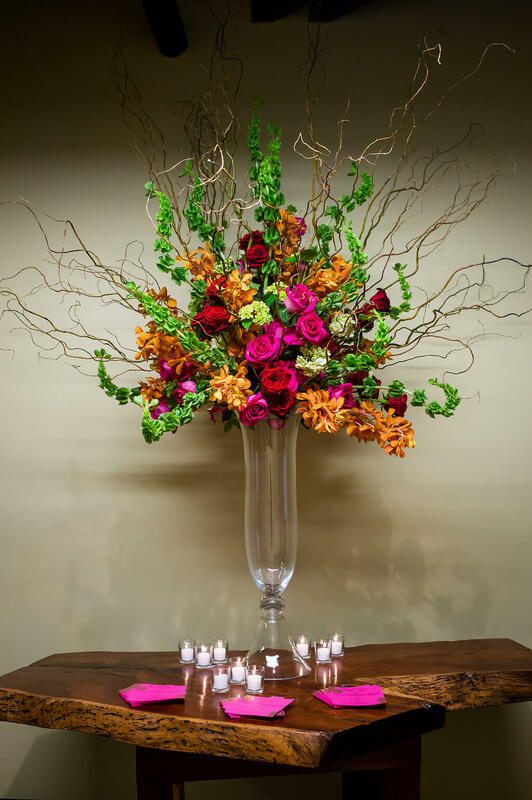 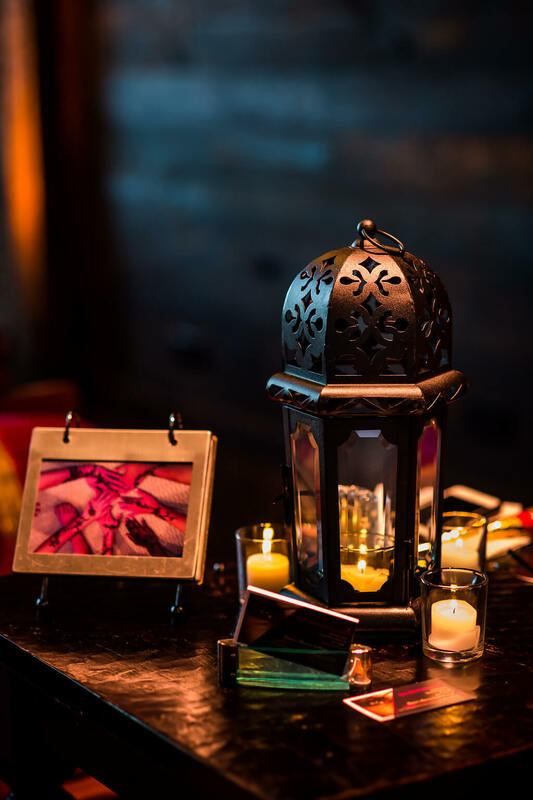 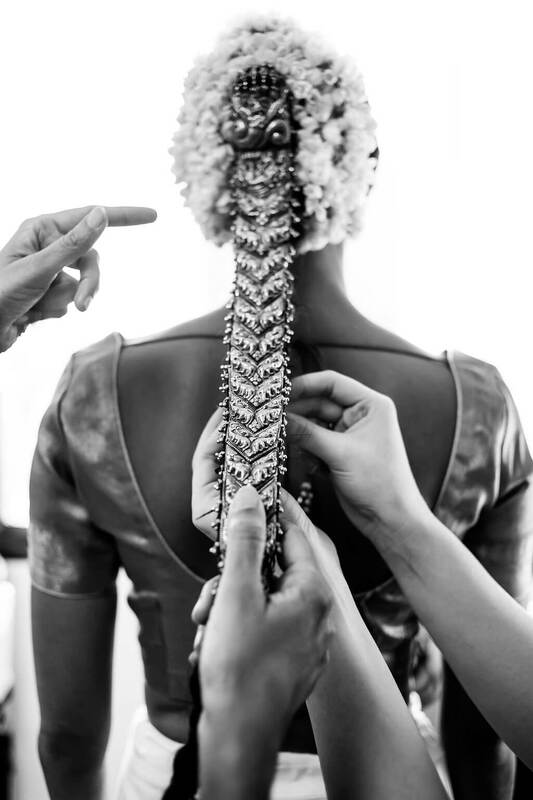 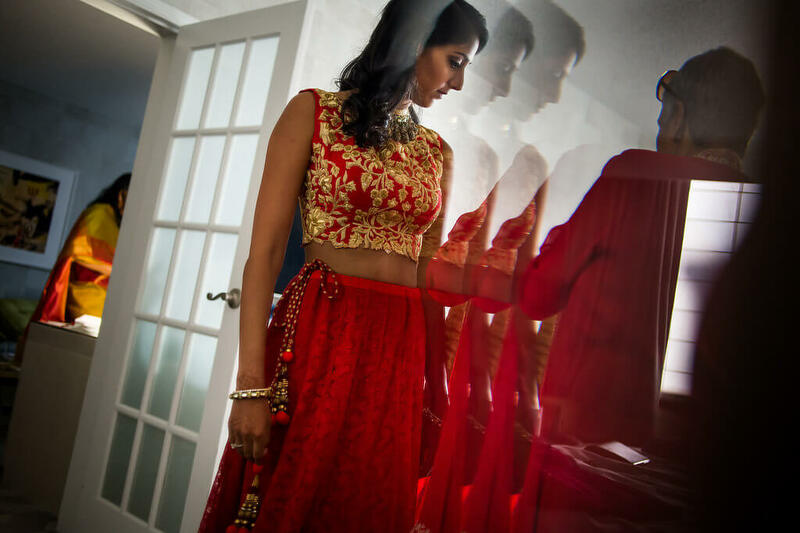 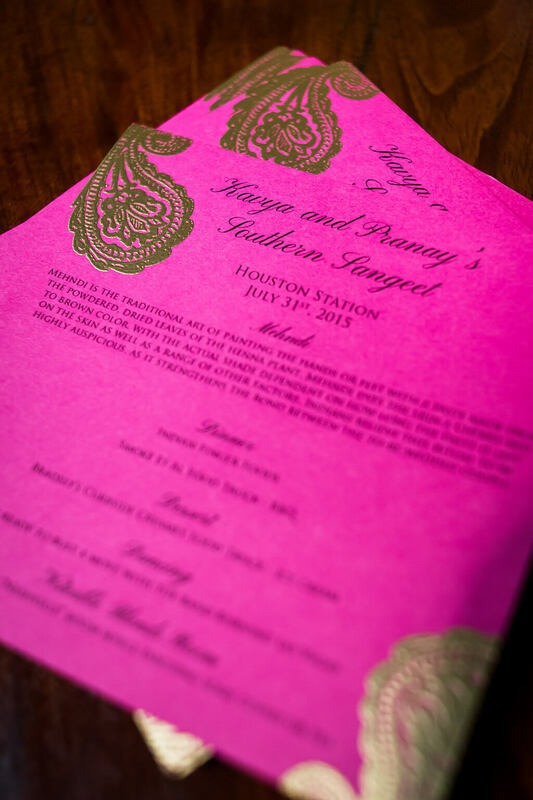 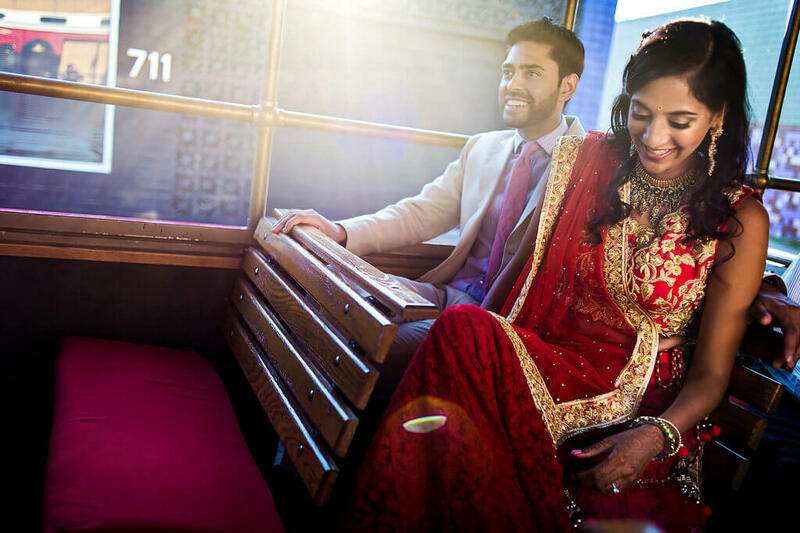 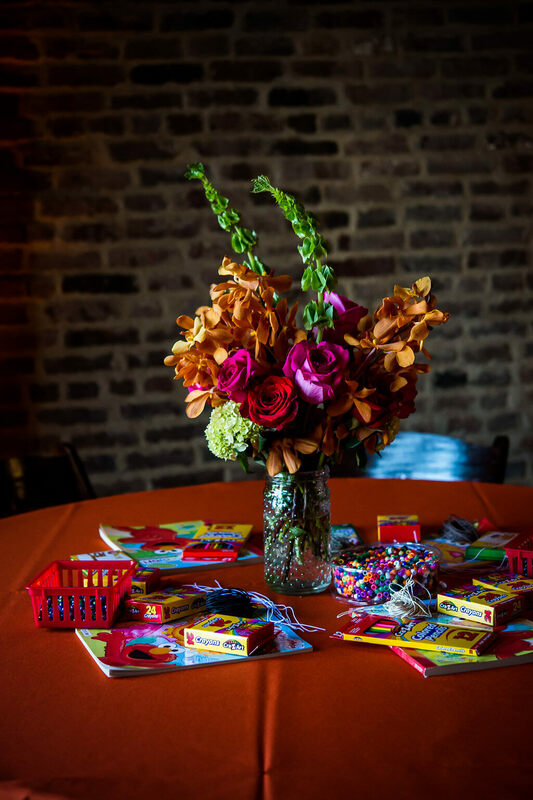 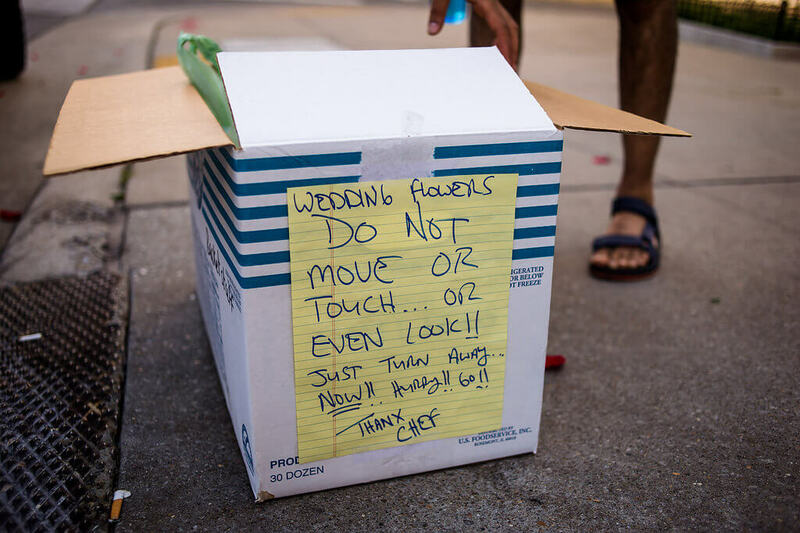 The Hindu rituals were performed with a dash of classy American-ess at this wedding! 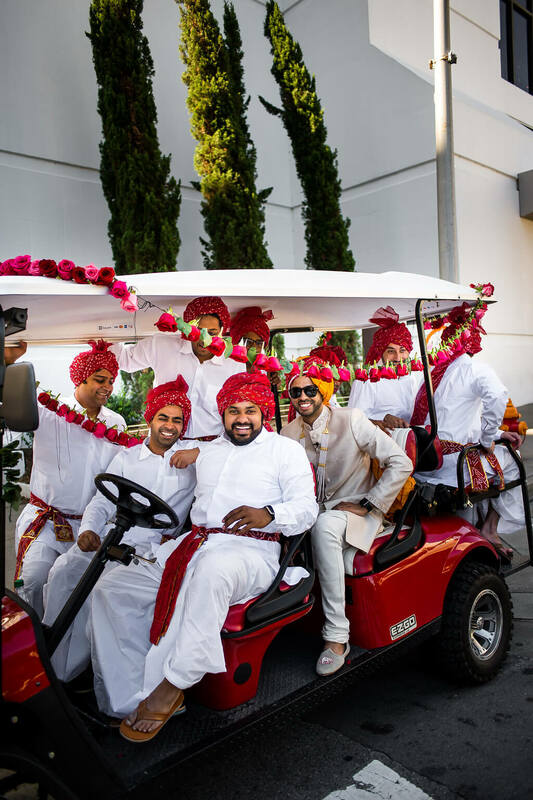 The otherwise groom’s procession on a horse got an eclectic twist of golf cart ride with the groomsmen and the music was a mad mix of Bollywood and Hip Hop and live band. 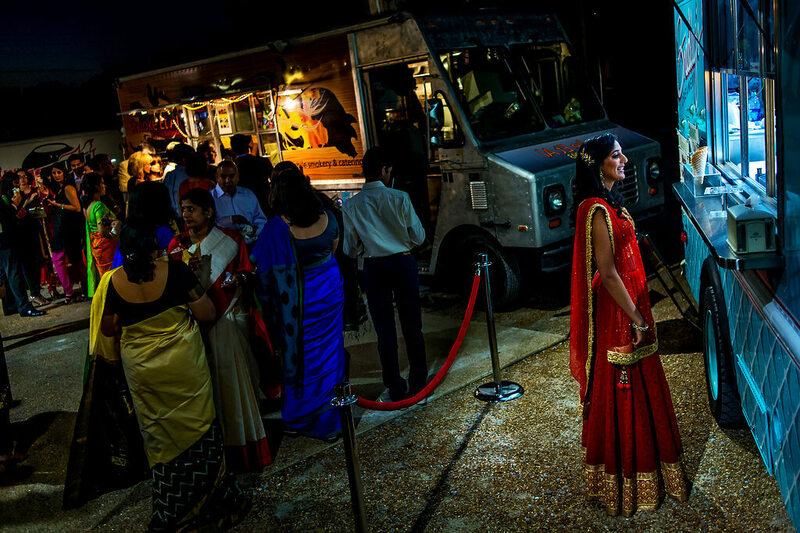 Our favourite element was the electric pink BBQ and ice cream truck. 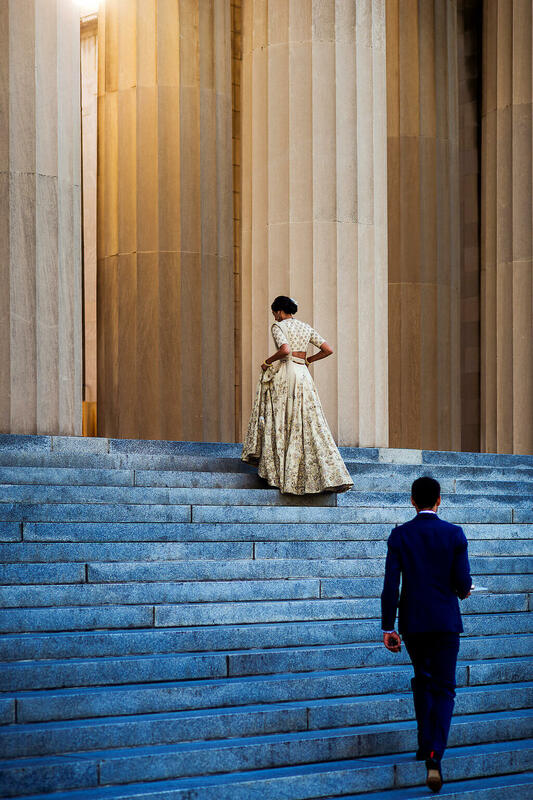 In two words So Cool. 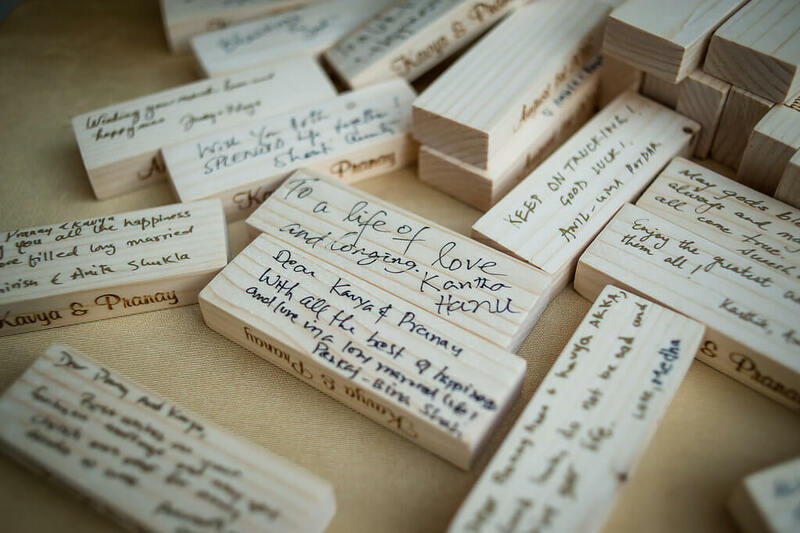 And then were Jenga blocks on which guests wrote the best wishes for the couple, a perfect souvenir for the unforgettable day. 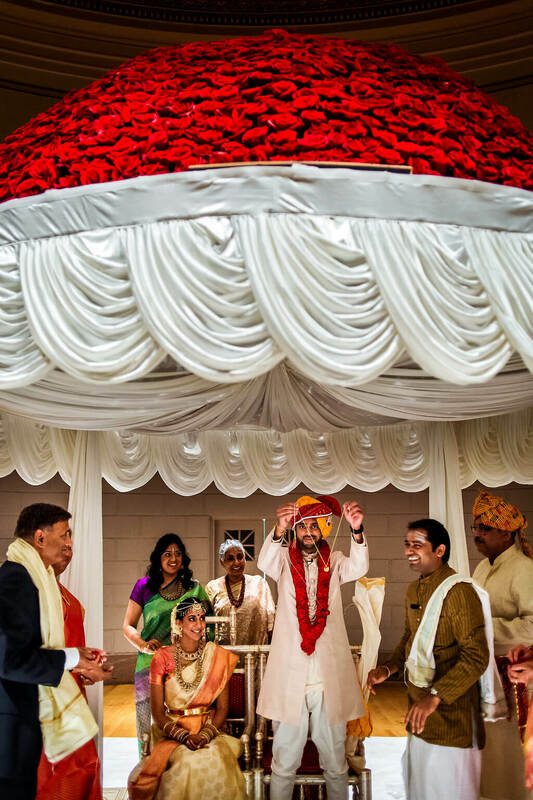 The wedding celebrations of Kavya & Pranay honoured the deep traditions while never compromising on cool and classy. 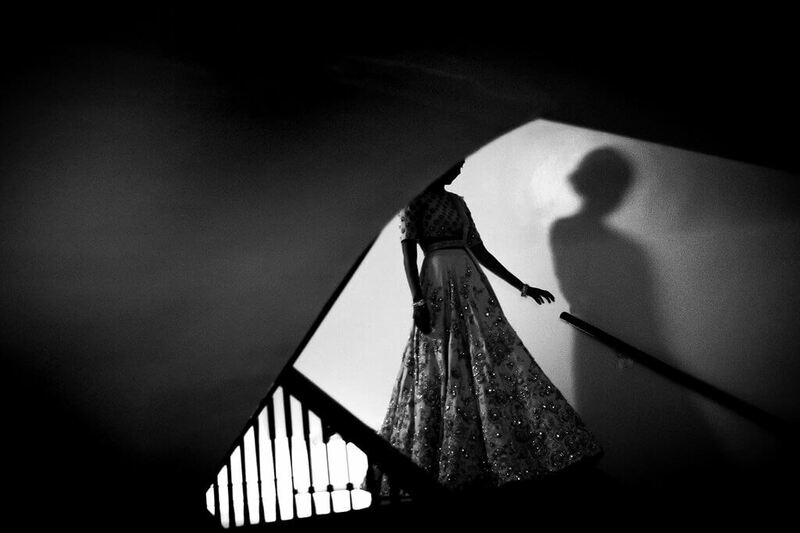 Add to that the photography genius of Davina & Daniel whose work we have long admired and continue to do so. 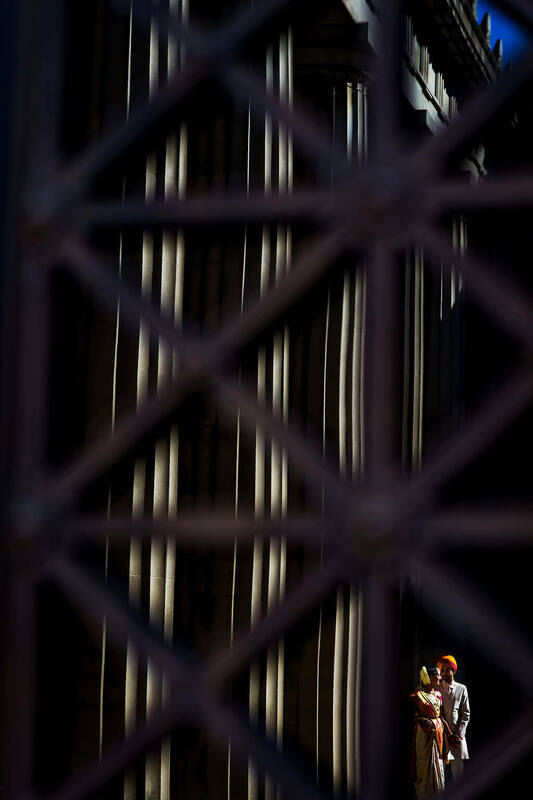 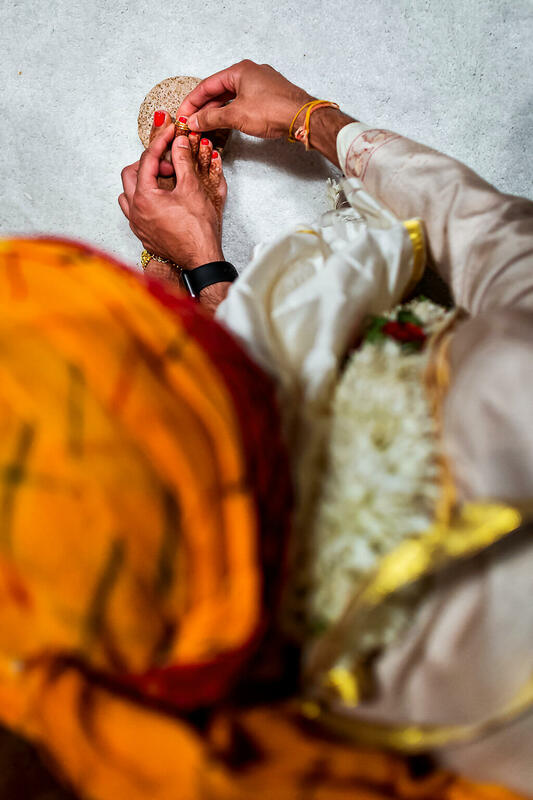 Be it the shot of bride and groom juxtaposed against the towering architecture or the detailing of groom putting the ring on bride toe ring, every shot is simply magic. 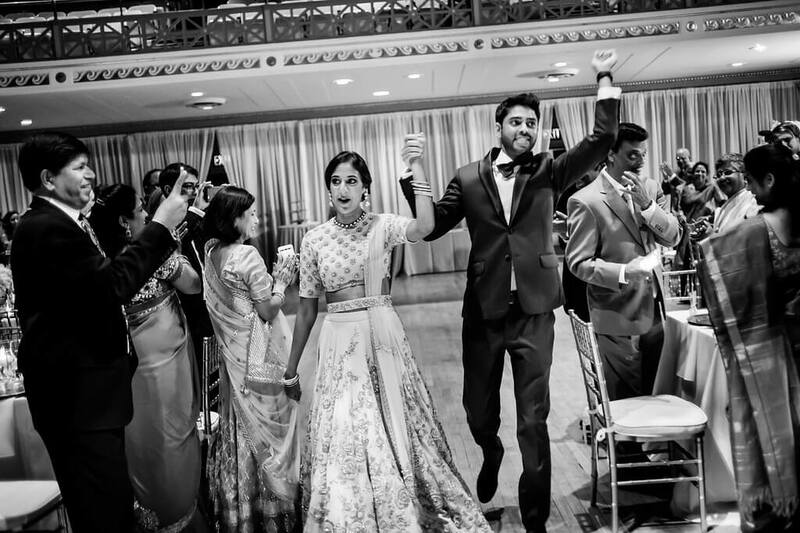 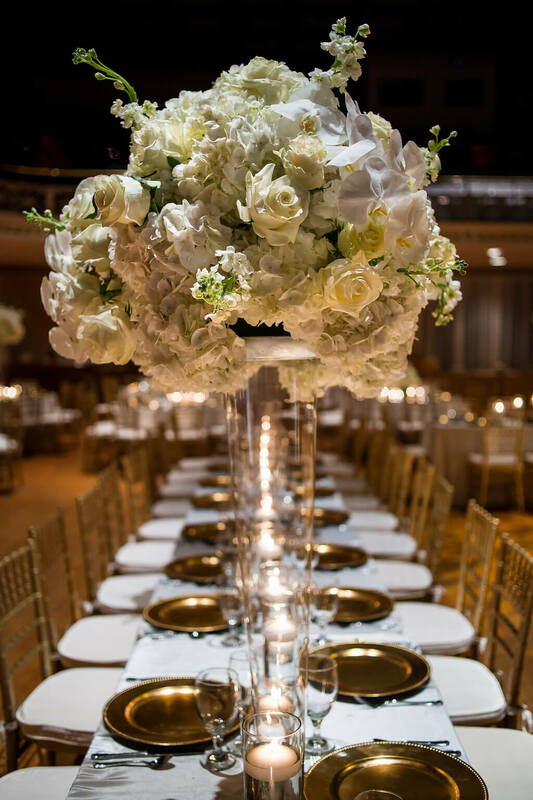 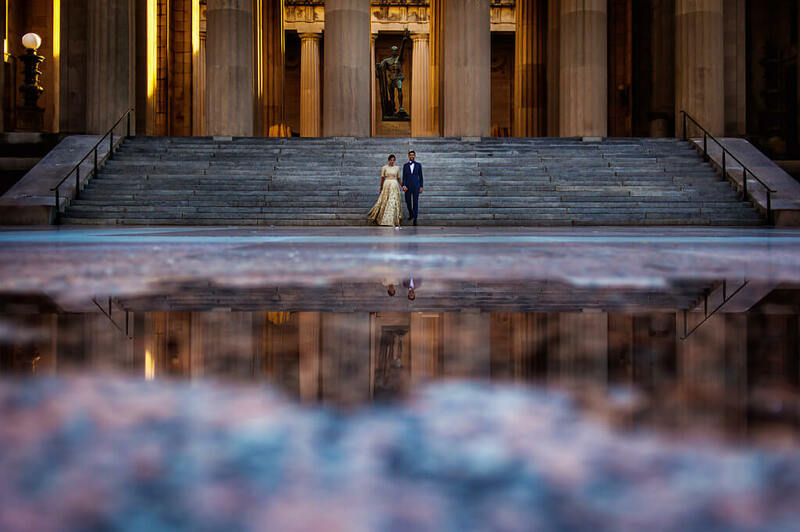 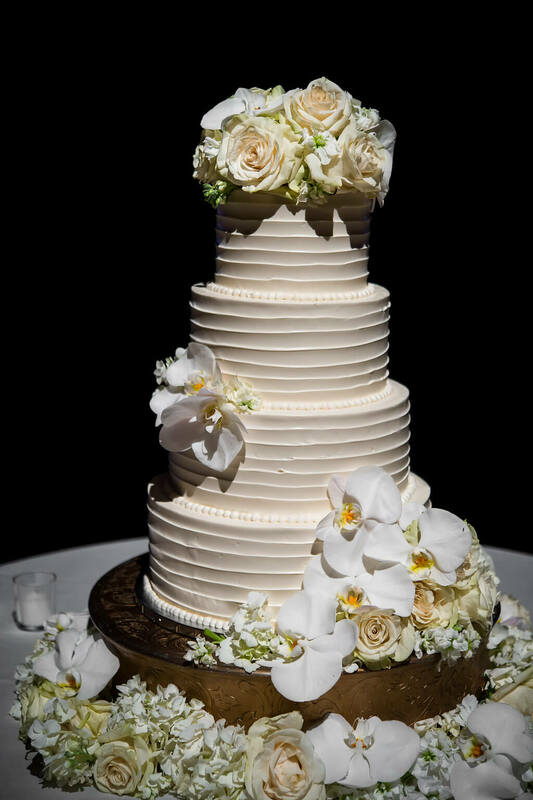 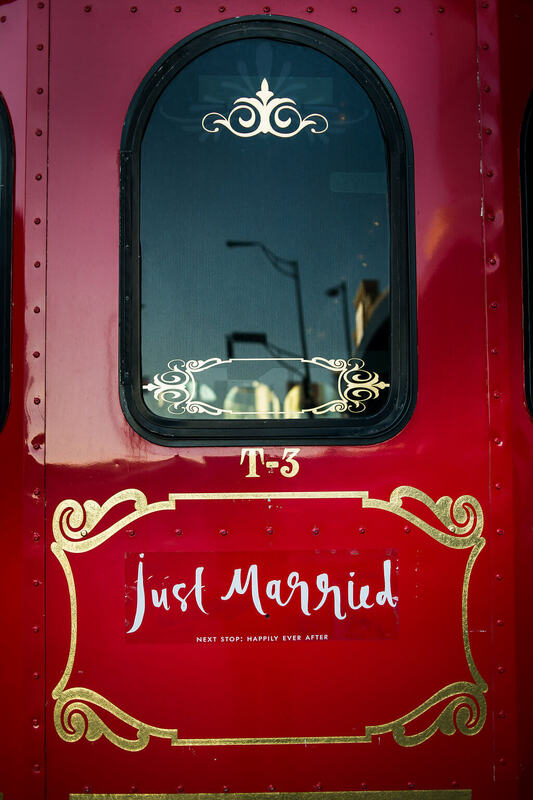 Scroll page upon page of this lovely wedding and we promise you will have an ear to ear grin on your face by the time you reach at the end of it.